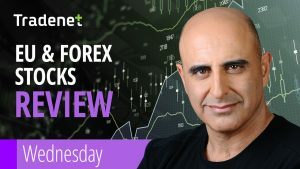 The dollar traded lower for the first time in a week after the US China trade talks seem to be finally moving in the right path, sending FX investors looking for riskier assets therefore moving out of the US, CHF and JPY. The Euro gained after six losing sessions versus the greenback and the positive sentiment sent EU and US markets to a strong upside trading day. Metals traded higher on a softer dollar while Oil reversed from a weak start to close above the 53$ per barrel level on markets optimism and ahead of the Inventories number today in the afternoon. The CPI number is expected to be the news on the agenda investors will be looking for ahead of the US open today. US CPI at 1:30 pm and Oil Inventories at 3:30 pm are the important news on the agenda Wednesday.